View your child's progress on Power School. Please contact your child's teacher with questions or concerns. A 7th Grade Student wants to make the holidays special for children in our local foster system through DCF (The Department of Children & Families). With hundreds of social workers in our local area alone, and each of them having a workload of at least 20 or 30 foster children, the need is unimaginable; however, we can make a difference. In addition to selling her own crafty jewelry, this 7th grader has partnered with our KP artists. 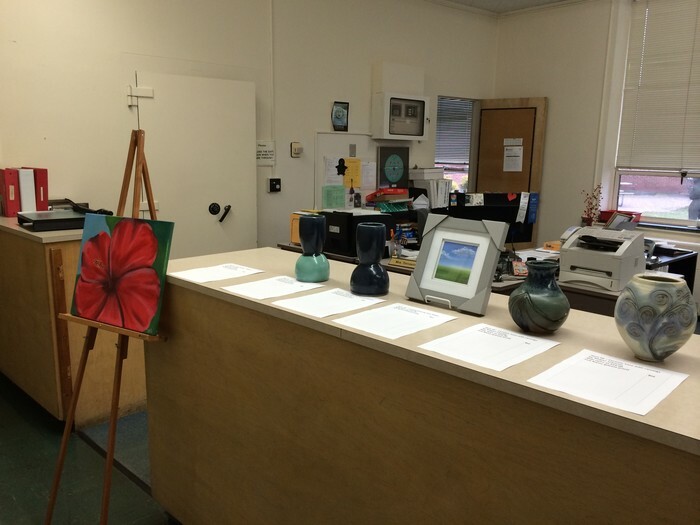 Thanks to the generous donation of our local artists, Megan Cassidy, Stacey Grindle, Deanna Johnson and Eina Rieger, we are hosting a silent auction to raise funds for the DCF Holiday party held for these children. 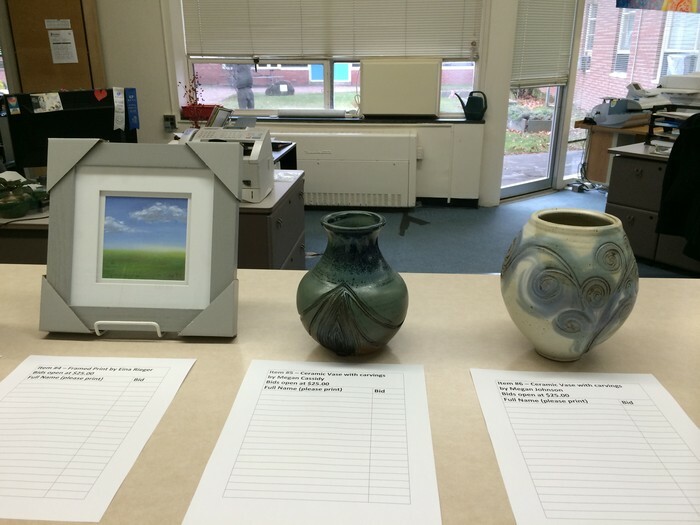 The bids start at $25 and will close tonight at the 8th grade concert with the winner announced tomorrow. 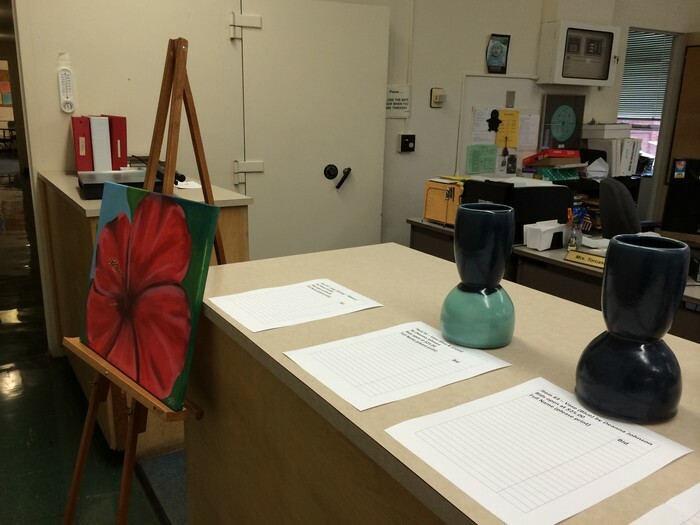 These beautiful pieces and bidding sheets will be in the main office for the remainder of the day and on display in the Lobby at tonight's concert. -Click on the picture to enlarge. Shop all day and a percentage of your purchases will benefit King Philip! Nook sales count as well as Café items. Remember to bring your voucher (click here) ~ or mention that you are from KP ~ at checkout. Unable to attend or want to encourage others to participate? 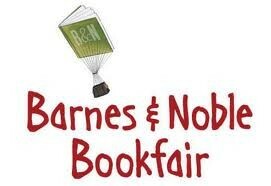 Visit BN.COM/bookfairs to support us online between 12/10/14 to 12/16/14. Enter Bookfair ID# 11443314 at checkout.